What: Eggs Benedict—seen ’em. Thai Eggs Benedict? That sounds a little more interesting. 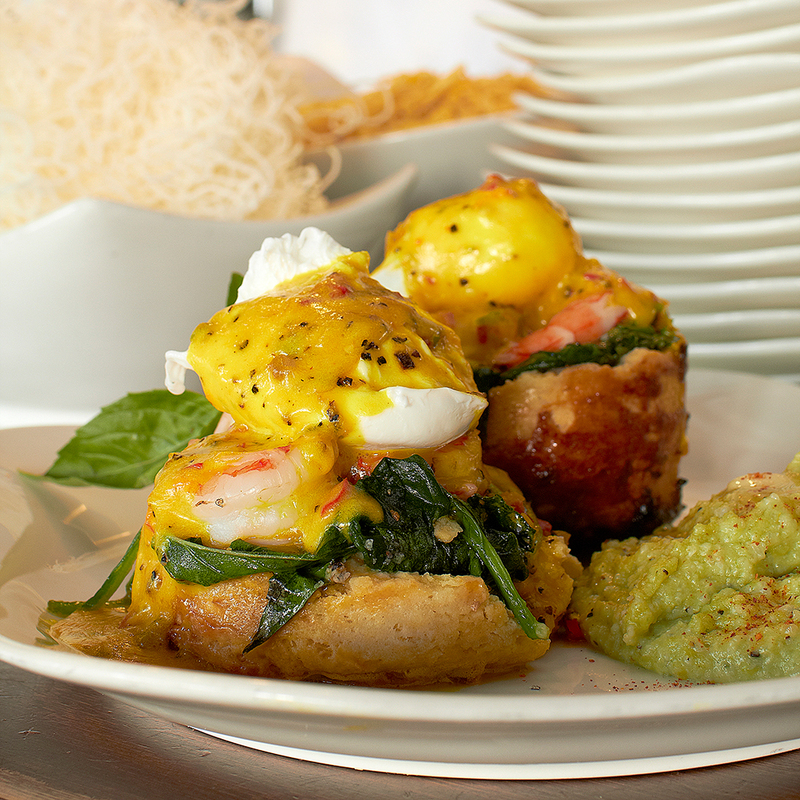 At Malai Kitchen, made-from-scratch coconut biscuits are piled with shrimp, Thai basil, spinach and Thai chile hollandaise—served with cheesy rice “grits,” the perfect intersection of Thai and Texan. Wash it down with: A Thai-style Bloody spiked up with tamarind, lime and vodka is the ideal accompaniment.